A skilled attorney, Lynn C. Harris has helped accident victims and their loved ones throughout the greater Salt Lake City area. Victims of car accidents can count on a skilled attorney like Mr. Harris as he will fight diligently for all of an injury victim's legal entitlements. Airbag defect lawsuits are particularly complex and require skilled legal counsel. Let's look at the different kinds of airbag defects that may occur and what harm they can cause. When it comes to airbags and other kinds of safety features in automobiles, you'd expect these various devices to make us safer and protect us in the unfortunate event of an accident. Sadly that is not always the case. It is possible for airbags and other vehicle safety features to injure drivers and passengers, or perhaps make an auto accident far worse. One of the most serious kinds of airbag defects that can occur is a complete failure to deploy. In these cases, a collision may be serious, but the airbag simply does not come out. Any injuries that the airbag or airbags may have prevented will occur, which demonstrates potential negligence on the part of the auto maker. Another serious kind of airbag defect involves spontaneous airbag deployment in minor fender benders or when a collision has not occurred at all. In these cases, the airbag itself will injure the unsuspecting driver or passenger. Sometimes the airbag does deploy in a collision, but it deploys too early or too late. Timing is everything with airbags, and a split-second difference when it comes to airbag deployment can literally mean the difference between life and death. Related to the idea of airbag timing is the speed of deployment and the level of airbag inflation. Sometimes airbags may shoot out too quickly, causing trauma or injury to the driver/passenger rather than cushioning the impact during a collision; coming out slower than normal means that the impact may not be fully cushioned by the airbag. Similarly, if the airbag is underinflated, the level of protection provided may be affected and preventable injuries may not be prevented. When overinflation of an airbag is an issue, there is an increased likelihood of the airbag bursting on impact, which can be seriously painful and harmful. In general, airbags can cause abrasions and lacerations, contusions, facial injuries, whiplash, and even burn injuries. The burns are the result of the chemicals on the airbag and/or the sudden friction of the airbag against the skin. 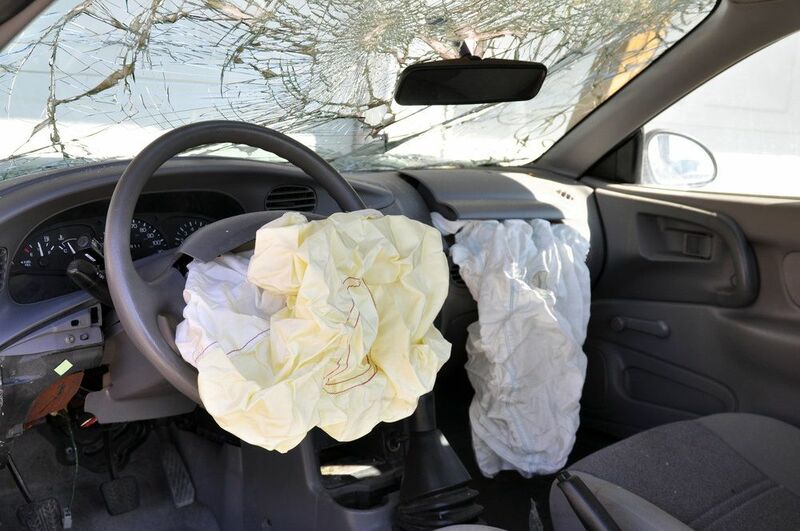 During a product liability lawsuit, your attorney will help you seek just compensation from the negligent auto company for any injuries that were the result of the airbag defect. This will cover medical bills and other expenses related to injuries that were sustained. In the case of a fatal auto accident, the product liability attorney will help recover damages for the loss of your loved one. In addition to obtaining compensation, your attorney will also be working toward reform in the auto industry to ensure that such negligence do not occur again in the future. To learn more about all of your legal options following a serious motor vehicle collision or an accident of any kind, be sure to schedule a legal consultation with a skilled personal injury attorney today. Attorney Lynn C. Harris will help you in your time of legal need.